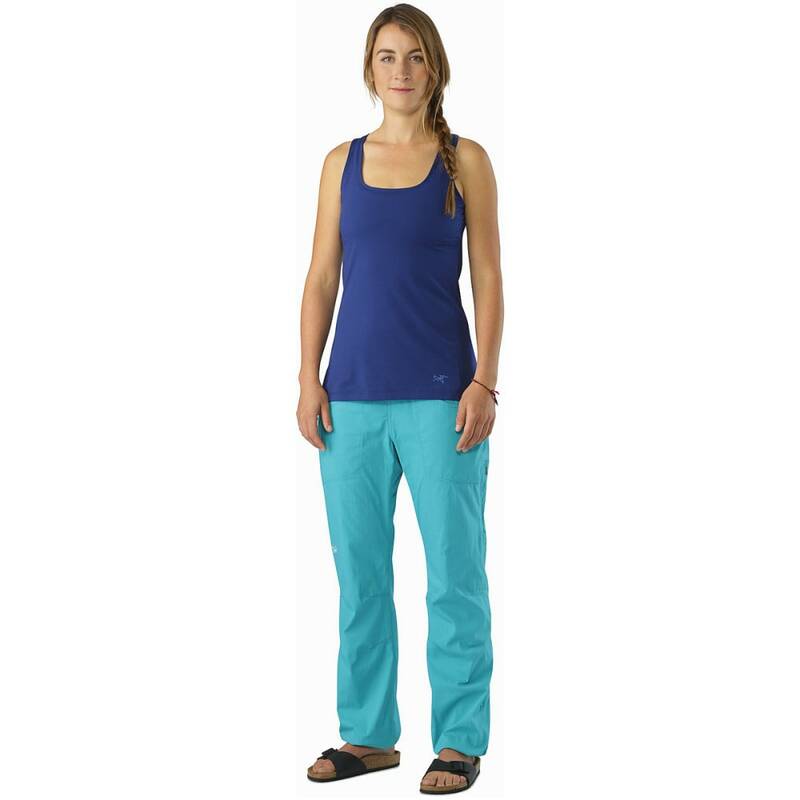 The Prelles Tank delivers casual style with climbing inspired design and performance. 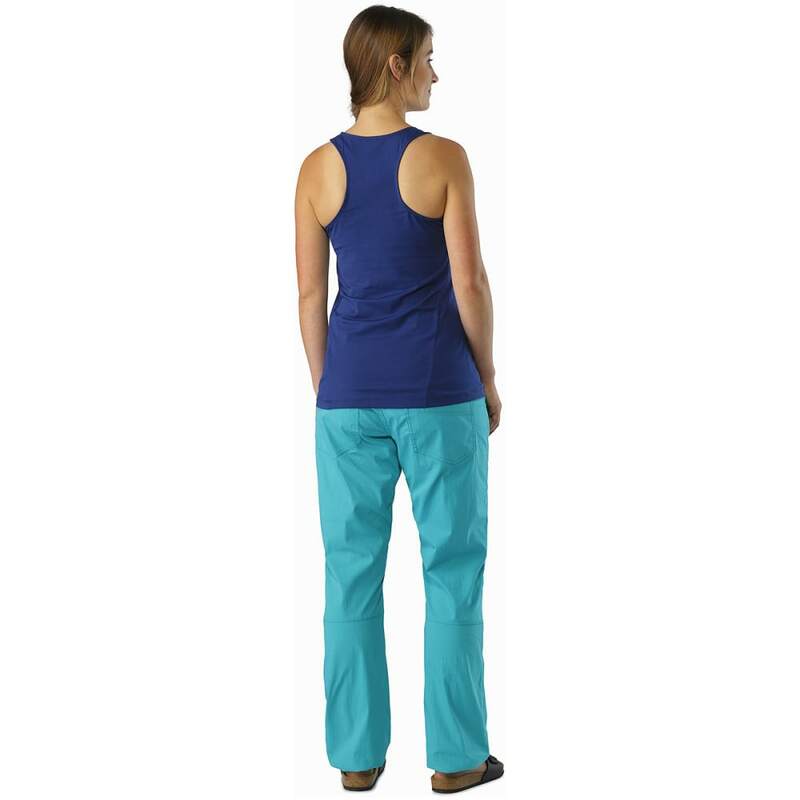 Versatile, it is at home cragging,walking or biking around town. 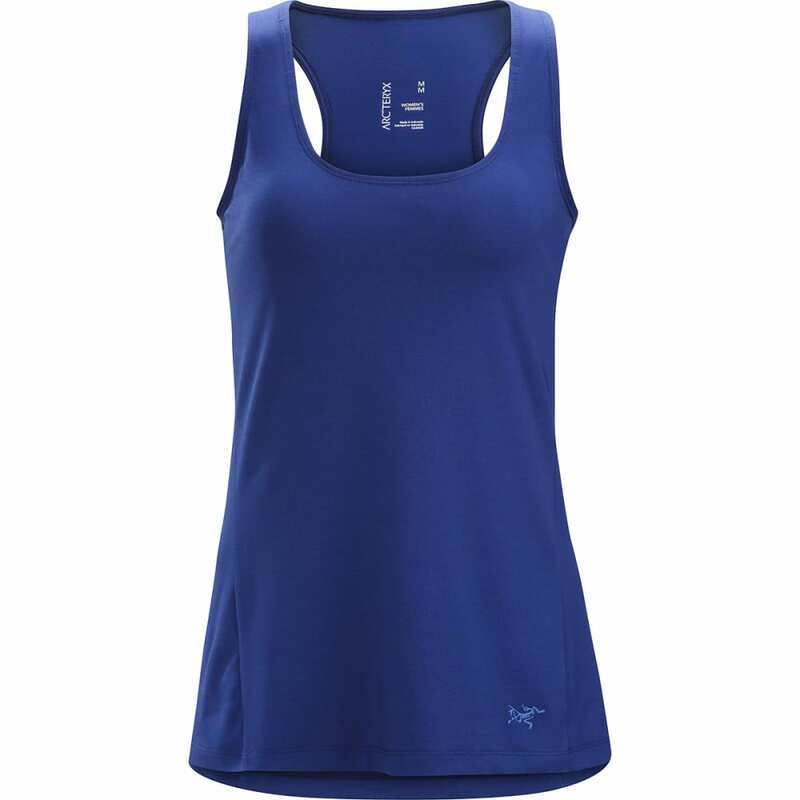 The cotton blend material, DryTech™, combines natural fibre comfort with the wicking properties of polyester, and the racer back design provides a secure fit, freedom of movement and streamlined, athletic look. The Trim fit moves with the body, helps maximize the fabric’s efficiency, and layers easily under a softshell, casual shirt or lightweight fleece. Purposeful design is an Arc’teryx commitment, and that includes a no compromise approach when developing specifically for women. With a focus on athletic freedom and function, The Prelles’ patterning, aesthetic, materials and feature selection are the result of the longstanding Arc’teryx commitment to deliver use specific, performance driven products for women.